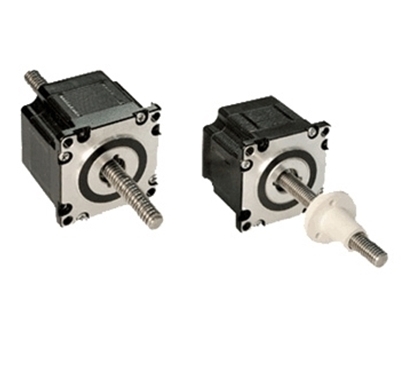 Cheap price stepper motorl inear actuator consists of 2 phase Nema 14 frame size stepper motor and lead screw, allowing for a holding torque of 14 Oz-in, the motor has external shaft style and non-captive shaft style two designs available. 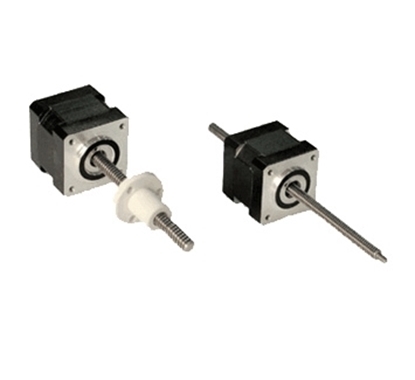 Nema 11 Stepper Motor Linear Actuator with 4.4V rated voltage and 0.96A rated current, holding torque of 12.5 Oz-in, precision leadscrew and higher IP protection. It is widely used in many applications such as X-Y tables, optical scanning equipment, medical valve and pump equipment etc.. The application of stepper motor linear actuator in machine tool device can guarantee a high performance level and has simpler motor drive device that transforms rotatory movement into linear motion compared with traditional motor drive device. 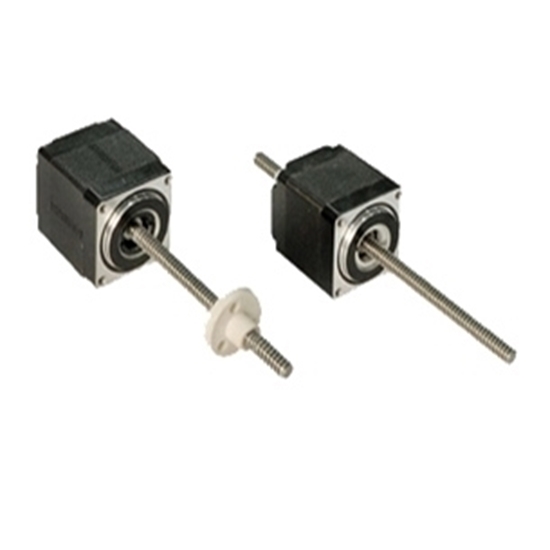 Because the linear motor is directly connected with the moving load, there is no back clearance between motor and load and the compliance is small. 1. Linear drive device can easily achieve the speed of minimum of 1um/s and maximum of 5m/s. The linear drive system can guarantee a constant speed characteristic, with a speed deviation of 0.01%. 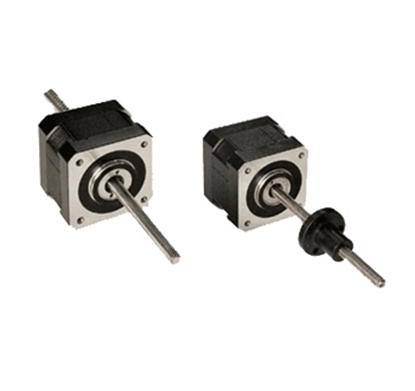 In applications which require higher accelerated speed, smaller linear stepper motors can easily provide accelerated speed greater than 10g while traditional motor generally produces accelerated speed within the range of 1g. 2. 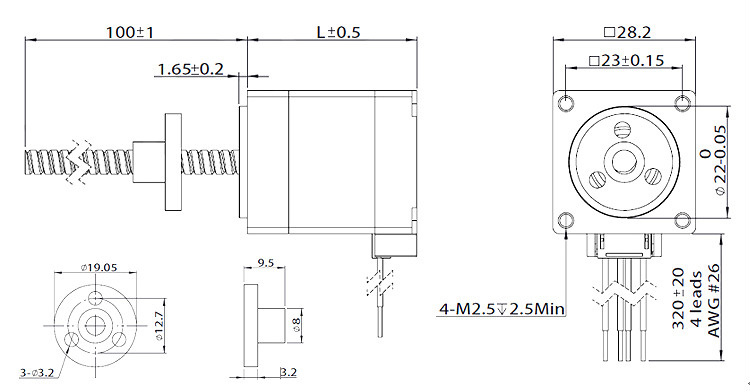 The stepper linear actuator has a simple structure and is composed of few components, so it needs less lubrication. It means that it has a longer service life and a relatively clean operation. In comparison, the traditional drive system consists of more than 20 components, including motor, coupling, ball screw, U block, bearing, bolster and lubrication system.